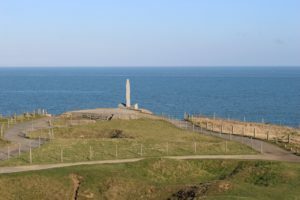 If I had to choose my top 3 Omaha Beach places to visit I’d opt for La Pointe du Hoc, the Normandy American Cemetery and Les Braves. 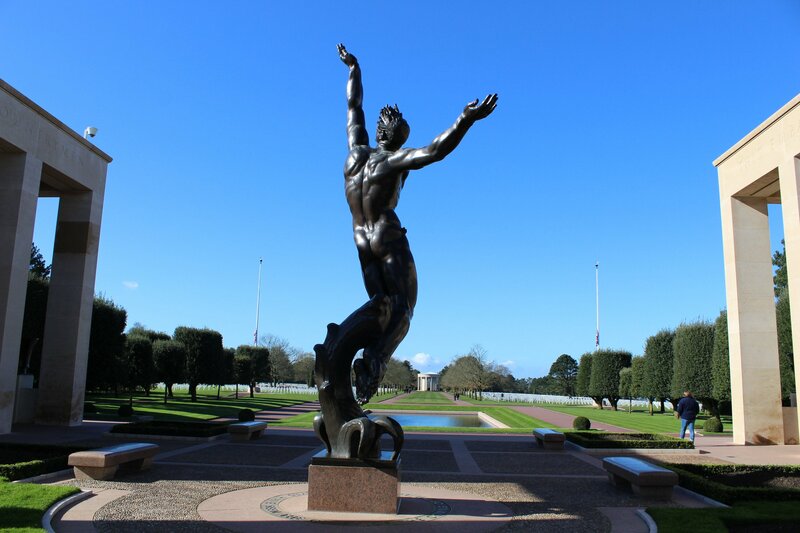 In just over 7 weeks time Normandy will be hosting events for the 75th anniversary of D-Day. 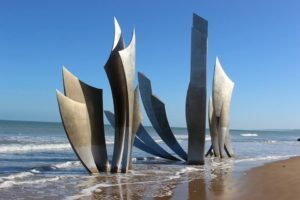 I visited these 3 Omaha Beach spots in February 2018 on a chilly but sunny day. I wanted blue sky for the photos I was going to take and I wasn’t disappointed. Rather than visit a museum, I chose 2 places where there were visitor centres. 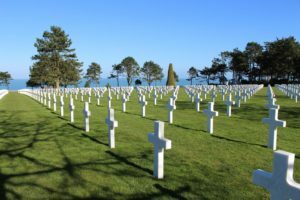 This gave me a real feel for the challenges that the American troops faced at Omaha Beach. It took me around an hour to drive to Omaha Beach. 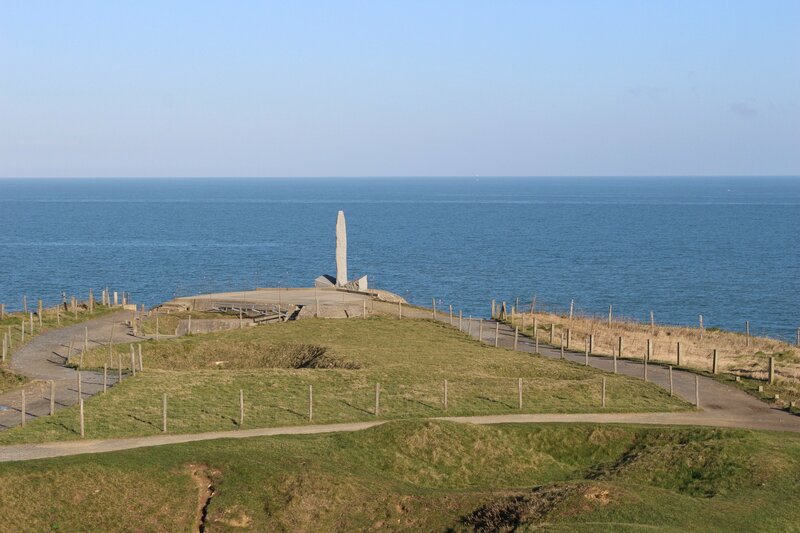 I started my day at La Pointe du Hoc. It’s between Utah Beach and Omaha Beach. You can read about my visit here. I genuinely felt as if history came to life as I walked around this battle site. Next on my list was Les Braves. 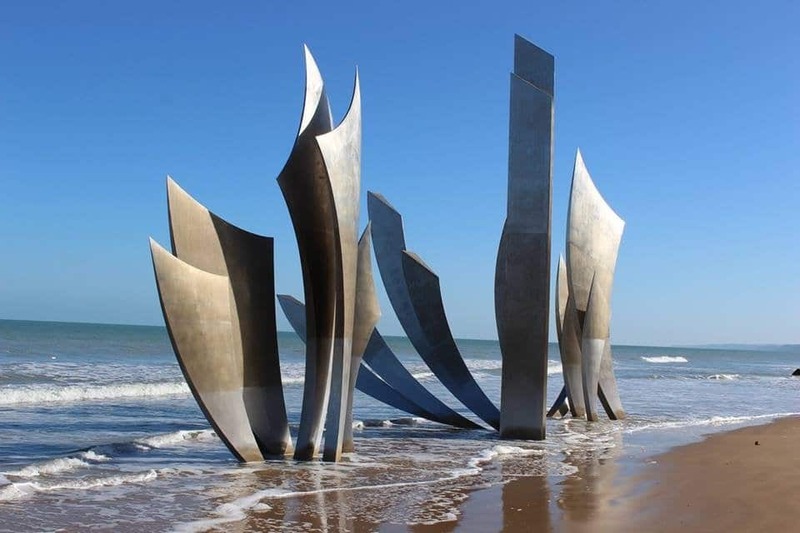 This beautiful steel sculpture is on the beach just beyond the memorial. Again, the clock seemed to roll back as I thought about the men who lost their lives on this beach. My review is here and includes a video of the beach. My final stop was the Normandy American Cemetery. The visitor centre is very informative and the cemetery itself is unforgettable. 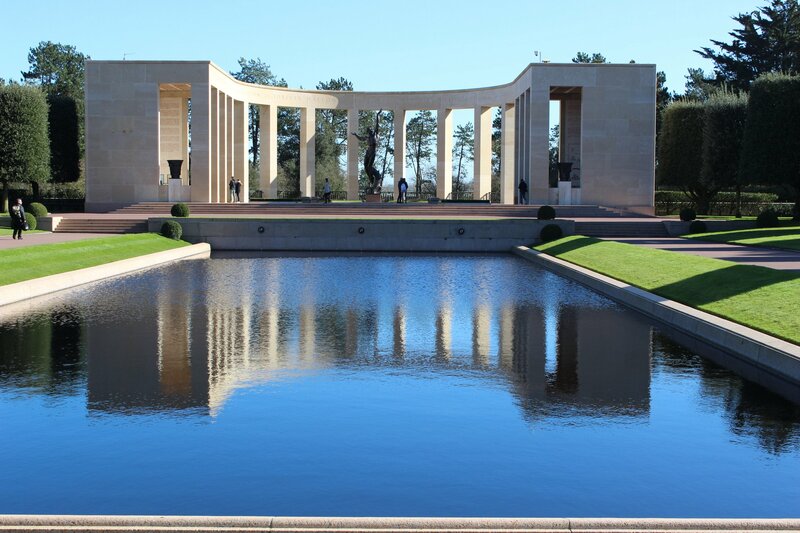 It is beautifully maintained and a fitting tribute to those for whom Normandy is their final resting place. The drone footage in my review article shows the extent of the site. 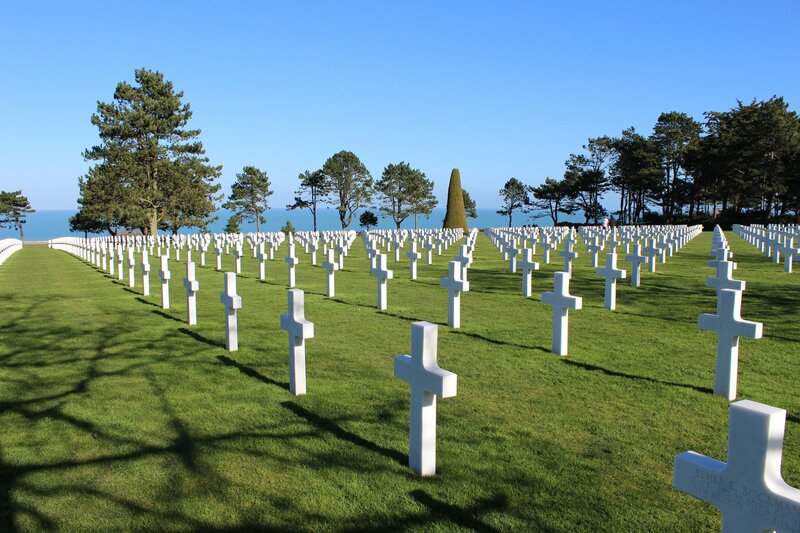 It is still one of the most memorable days I’ve had in Normandy. I can still recall the emotion I felt as I visited each of these 3 amazing sites. Time now stands still for these heroes who made the ultimate sacrifice. For more information about Omaha Beach visit this page.